Get it in writing. Trust but verify. It doesn’t matter what motto one embraces, the Alberta government and energy industry remain deeply skeptical of soothing comments emanating from Ottawa about the controversial Bill C-69. Given its track record on this front, who can blame them? The proposed legislation, now before the Senate, would overhaul the way the federal government reviews major energy projects. 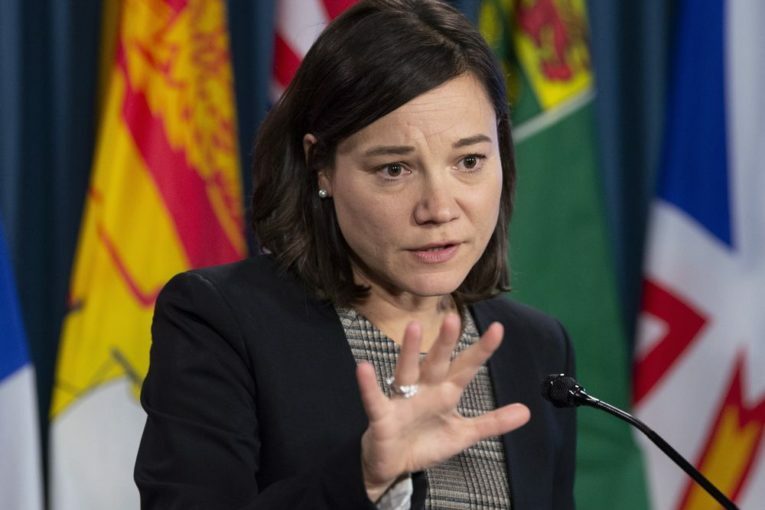 On Wednesday, Alberta Environment Minister Shannon Phillips told a Calgary conference the province remains concerned about the bill’s impact on the oil and gas sector and development of new pipelines. She travelled to Ottawa recently and met with federal Natural Resources Minister Amarjeet Sohi. But Phillips said Alberta still needs to see federal action to defuse some of the province’s apprehensions about the new Impact Assessment Act. “They have given me what I have characterized as bland assurances, in which I do not put hardly any stock at this point, because I haven’t seen them act,” she told reporters after speaking to the North America Region Energy Forum. The proposed bill would see the Trudeau government overhaul the National Energy Board, renaming it the Canadian Energy Regulator. The regulator and Impact Assessment Agency of Canada would jointly review major energy developments, such as oil or gas pipelines that cross provincial boundaries. The federal government would review a designated project for its impact on the environment, Indigenous communities, as well as its social, health and economic effects. Sohi believes the bill will create firmer timelines and restore public trust in the national review process. After speaking to the same conference, he insisted it would improve an existing flawed process. Amarjeet Sohi, minister of natural resources, speaks to media in Calgary on Wednesday, Nov. 14, 2018. Some outstanding concerns will be addressed in regulations once the bill is enacted. The Senate will also have the opportunity to suggest changes and “we will be open to amendments that work,” said the Edmonton MP. As for Alberta’s grievances, Sohi stressed the bill will not consider downstream greenhouse gas emissions tied to building regulated energy projects, nor will it intrude on provincial authority. “We will continue to work with the province and we will continue to work with industry to listen to their concerns,” he added. Whew, that takes care of everything. For an energy-powered province and a sector clamouring for clarity amid falling commodity prices and reduced investment, those are pretty vague assurances. The Notley government and industry rightly remain concerned about the bill’s potential impact, particularly as the sector struggles to build new pipelines needed to increase oil transportation out of the province. A steep price discount is already lashing Canadian oil prices due to pipeline constraints, a crisis that has been years in the making. Industry groups like the Canadian Energy Pipeline Association (CEPA) believe the new legislation will create even further uncertainty. “We need to get clearer, overall, on some of these key hot-button issues,” said CEPA chief executive Chris Bloomer. Like the province, the energy sector is worried it hasn’t yet seen a designated list of what projects would have to undergo a full review under the legislation. Alberta maintains that without a clear list the bill is creating uncertainty and hurting investment. The Canadian Association of Petroleum Producers thinks the bill will add to the country’s regulatory complexities. It points at the potential for delays if the government decides to extend review timelines. “In reality we don’t have any assurances that any of the changes we are looking for have been made,” said Patrick McDonald, CAPP’s director of climate and innovation. Given the debacle over the Trans Mountain expansion, fears surrounding the bill will be corrosive to the future of new pipelines and investment. A letter written last month to the prime minister by an official at Capital Group Cos., one of the biggest international investors in this country’s oilpatch, spells out the potential consequences of getting things wrong. According to Bloomberg News, the letter laments Canada’s lack of market access, saying it’s driving energy investments to other jurisdictions. “Increasingly, investors are questioning the merits of investing in Canadian energy and with that, Canadian companies will struggle to access capital, create jobs, develop resources and provide a significant revenue stream for the country,” wrote analyst Darren Peers of Capital Group, a large shareholder in Enbridge, TransCanada, Canadian Natural Resources and Suncor Energy. Sohi said Ottawa understands the concerns about the energy sector’s competitiveness, but when will it act? For example, the minister said the Liberal government is working with his department and the provinces to find practical short-term solutions to deal with market-access concerns and the oil-price differential. But as his officials engage with the provinces, he doesn’t know yet what the options are. Why wasn’t the federal government prepared for this problem, as analysts and industry executives have for years warned it was coming to a head? The Notley government has called for Ottawa to invest in locomotives to get more Alberta oil moving by rail. That would be a solid start. So would be a serious attempt to address the province’s concerns over Bill C-69. As Phillips said, we can’t fix a broken system with another broken system. And bland assurances just won’t cut it.